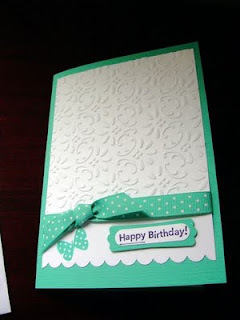 There is less than a week left to sign up as a Stampin'Up demonstrator for $85.00. This is a great savings and the fee has never been lower. If you have considered sharing your talents while making some extra money you have until August 31st. 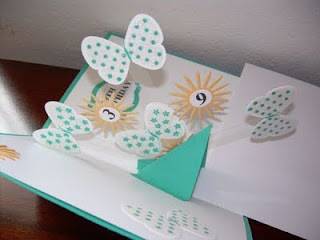 The pictures above are of a card I made for my daughter, Elisa who will be 39 tomorrow. 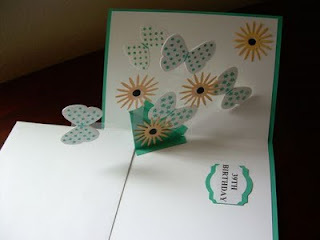 My downline, Debi Pippin shared how easily this pop-up card can be made at my last downline meeting. 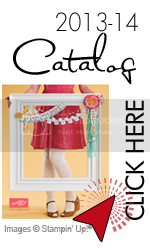 In a later post I'll share a card that Debi, Michelle and I saw at convention and had to CASE. If you consider demonstrating you will see what a great group I have and the support you will receive from everyone.